So cute! I can tell that that wouldn’t help me get to sleep, either. Ha, ha! Nope. Thanks, Jeanine! That’s so adorable!! Counting sheep never works for me. Such a cute video. I think I will start incorporating more video. My technique? Put on the news. Since it repeats incessantly, I get bored and fall asleep. It might give you nightmares though. Be careful! I have tried that to no avail. 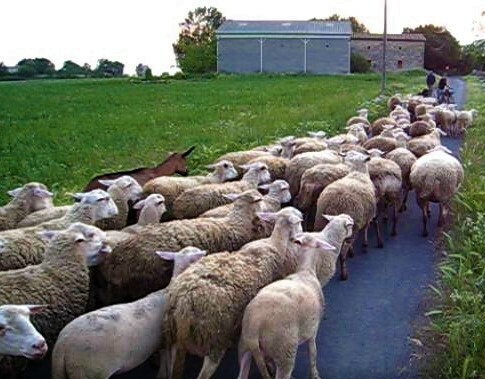 every time I tried to count sheep, they wouldn’t line up in a row and a bunch of them would want to jump over at once, I couldn’t control my sheep! That’s the makings of a nightmare!